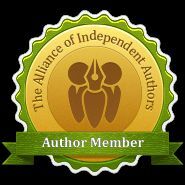 This is the third and final post where I share what it’s like for me working as an indie author-publisher. In this post I’ll be talking about marketing, how I keep in touch with my readers, and how I reach potential new ones. (Part 1 looked at the writing process and you can read it here. And Part 2 looked at the preparations and procedures involved in getting my books published and can be read here). Over the years I’ve been publishing, I’ve learned a lot about selling books. And, because I now have a backlist, I also have an existing band of loyal and supportive readers. So, launching my first book was much harder than launching my latest one. It’s also the case that things change – so what might once have worked may not do so any longer. Having said that, there are some things that remain constant and essential to successful book marketing. Books, like any other merchandise, have a target market. So authors need to know who their likely readers are and where to find them. When I write my books I have a specific reader in mind. For my adult books that will be a woman who enjoys reading contemporary romantic fiction with a bit of depth to it. She’ll appreciate that age is no barrier to romance. She’ll enjoy reading about parts of the world or jobs, professions and lifestyles that might be different from her own. And she’ll appreciate that the path of true love doesn’t always run smoothly. For my children’s book I knew that my readers would mainly be in the nine-to-twelve-year old age group and would enjoy an adventure story where the children rather than the adults save the day. The existence of the online world means that finding and connecting with existing and potential adult readers (or, in the case of my children’s book, with my readers’ parents/grandparents etc) is easier than it’s ever been. I have a Facebook author page, I’m on Twitter, and I have this website and its blog. And through these I can alert people when I have a new book coming out and I can have ongoing interactions with the folks who read/might read my novels. These platforms also provide a way for my readers and/or followers to spread the word by sharing my posts or, indeed, their own recommendations as regards reading my books. Around the time that I’m launching a new novel I get a blog tour set up. This is where my new book will have a guest slot on a different book blogger’s blog every day for a week. Book bloggers are amazing, generous and hardworking folk who review and write about books for the love of it. The guest slot on a particular blog might be the blogger posting a review of my new book, or it might be the blogger interviewing me, or it might even be a guest post from me. Blog tour posts are widely shared on social media and so news of a new book ripples outwards as people share the book posts with friends and in reader groups. And, in the real world I do author talks at libraries, book clubs, social clubs such as the Women’s Institute, and writers’ clubs – and for the children’s book I also do school visits. I also take part in local book festivals and I go to book fairs, craft fairs and trade fairs – anywhere where there are tables available for authors to meet and chat to readers and to possibly sell books. I know some of my readers like to read real paper books and others prefer to read e-books. So I make sure both formats are available to them. I also know that some like to get their books from an online store while others prefer to go to their local bookshop or library. So I also try to make sure they can get my books from their preferred outlet. However, as an indie author, while making my books available online is easy, getting my books into bookshops and libraries can be trickier. Any reader wanting to get my a book of mine in a bookshop or library can ask for it to be ordered for them, but of course it would be easier if it was already on the shelf. When I lived on the Isle of Skye the local bookshops and the library both stocked my books. As a regular customer at the bookshops and as a member of the library, I was able to use my existing relationship when I asked for my books to be stocked. And both the library and the shops were generally supportive of local authors no matter whether they were traditionally or independently published. But having recently moved to a different area I’ve had to start building new relationships with local book sellers and libraries and my nearest bookshop has a no indie-author policy. However, as I said above, just because a book of mine isn’t on the shelf, it is available (in the UK) to order via a bookshop or a library’s normal route. You just have to ask and be willing to wait a few days for it to arrive. And if all else fails I’m happy to post or email a paper or e-book version directly to readers. So, yes, being a one-woman sales and marketing department is hard work but well worth the effort as it leads me to readers. Readers who not only buy or borrow my books but who write reviews, who feedback and who interact, readers who in their turn help me with marketing. And that’s what makes this book-writing lark such a rewarding one. So, as you can see the job of indie author – or authorpreneur as we’re sometimes called – is a busy one. I have to be the writer, the publisher and the book seller. But I love my multi-hatted job, I love writing books and I love that people get to read them. Long may this job continue. Such a shame your local bookshop has a no Indie policy. You’d think they’d want to support local talent. I know, Joanne. But at least I’m not depending on such bookshops. This has been a great series and perfect for someone starting out in the world of writing and publishing. I know many writers don’t like the thought of marketing but once you get started, it can be a lot of fun. I love going to schools and libraries and reading my books. Thank you, Darlene. Yes marketing can be daunting but it can be rewarding too. What a great post! Thank you for sharing! I have come across quite a few bookshops/bookstores/libraries that have either a no indie books policy, or they wouldn’t mind purchasing your book if it’s listed on Ingram Spark. I used Ingram Spark for my first novel and found it quite complicated to use. I also didn’t receive much in royalties. So, I stopped using IS to publish my paperbacks. Hello Jennifer. Thanks for visiting and sharing your thoughts.